March is National Quilt month! My Quiltsy Team (a group of quilting artists who sell their work on the Etsy.com website) is celebrating by featuring a different member each day and the charities they support. So today I’d like to share photos of donations I’ve just finished up to give to Mikayla’s Grace. Mikayla’s Grace is a local charity in my area that supports families with a baby in the NICU (neonatal ICU) and those who experience the death of an infant at hospitals throughout Wisconsin by providing NICU care packages that offer both practical and emotional support for parents. They also reach out to comfort women who experience miscarriages. I’ve knitted quite a few preemie hats throughout this past year, but when a call came out for special small items, it was an opportunity for me to try a new technique…combining quilting with crochet! 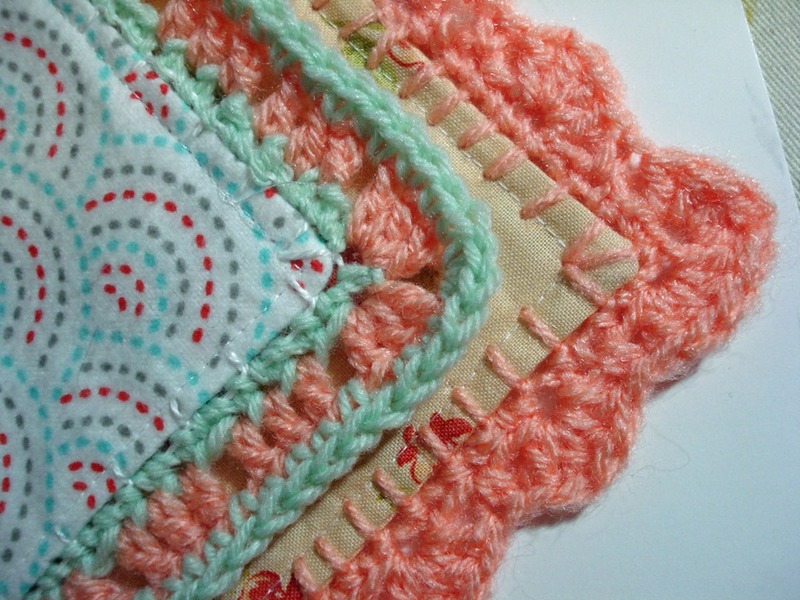 I’ve seen quilts that were made up of squares with crocheted edgings and then put together like a granny square afghan. And then turning the right side out and top stitching around the edges. I found yarn was too thick, but white pearl cotton was just the right size, to do a blanket stitch around the perimeter of the square. That gave me something to anchor my crochet edge stitching to. And then it was a matter of crocheting whatever edge stitch I desired around the entire square for several rows. 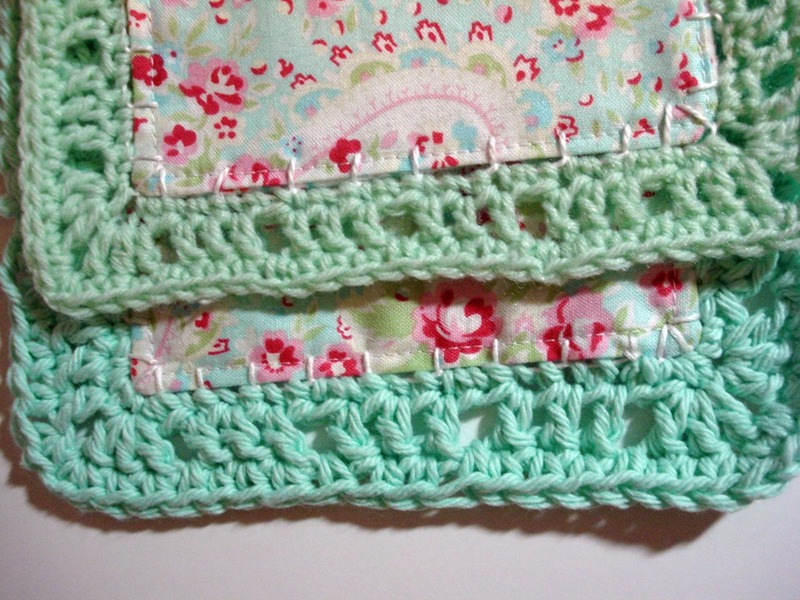 Here’s a few simple edgings done in green baby yarn (top) and blue cotton yarn (bottom). I liked using the soft baby (or sports weight) yarn the best. And here’s a few more in coral and mint green. You can see I tried to use the yarn to do the blanket stitch (one on the right), and although I like the look of it better I found it very difficult to thread and poke through the edging, so I went back to using the pearl cotton. 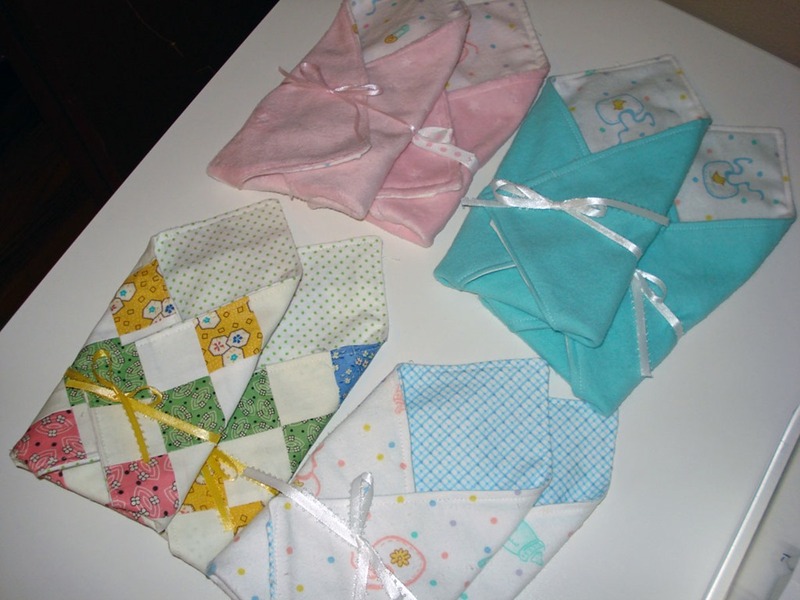 Next I decided to make some little quilts for preemies out of some beautiful cotton fabrics and soft flannel. 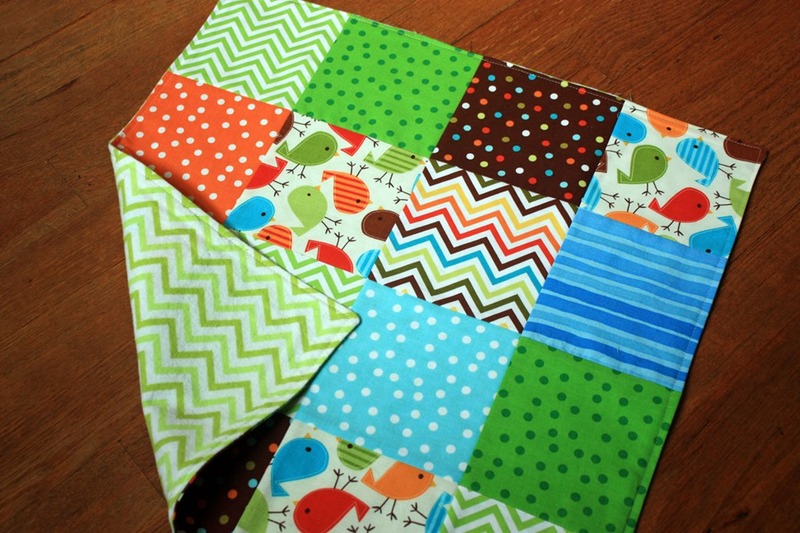 Squares put together and backed with soft flannel. Aren’t the chicks cute? I love the bright, cheerful colors. 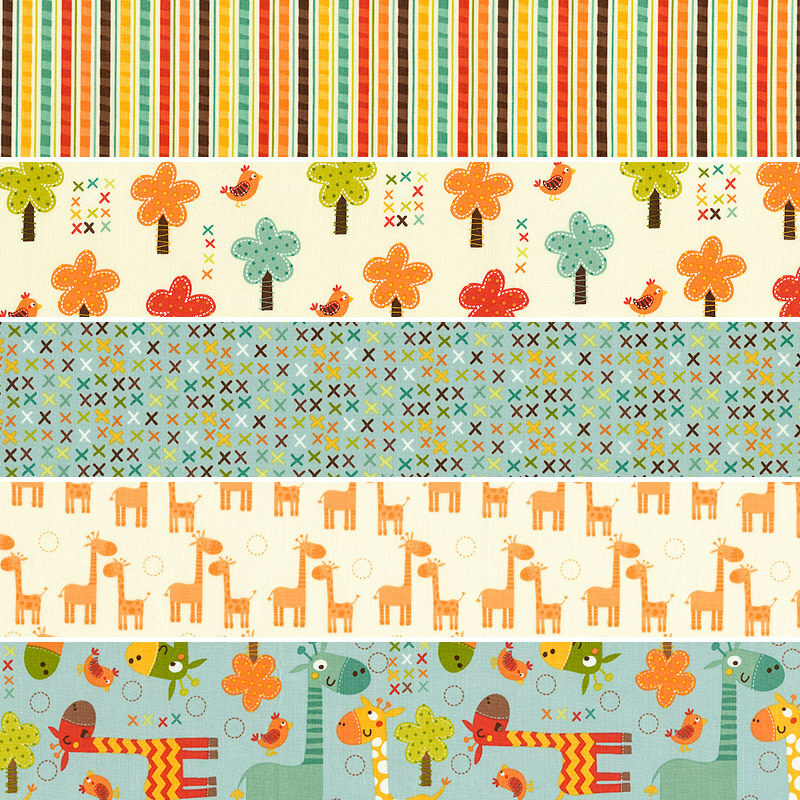 And here are a few more pieced in strips across the quilt with soft minky fabric on the back. Last but not least, I added a couple of tiny knit afghans that I made out of soft yellow baby yarn with a blue crochet edging. Can you see the “heart” created by the pattern? So fun. I hope these small gifts bring love and comfort to the families they go to! I’m so blessed to be a part of such great Etsy Team. Each member is not only creative, but so caring and generous. Just this past month when one of our members found out about a need for quilts for victims of fires in Tennessee, our Quiltsy Team immediately went to work and made 67 quilts to donate to them–yup SIXTY SEVEN!! An amazing group that I am so thankful for. 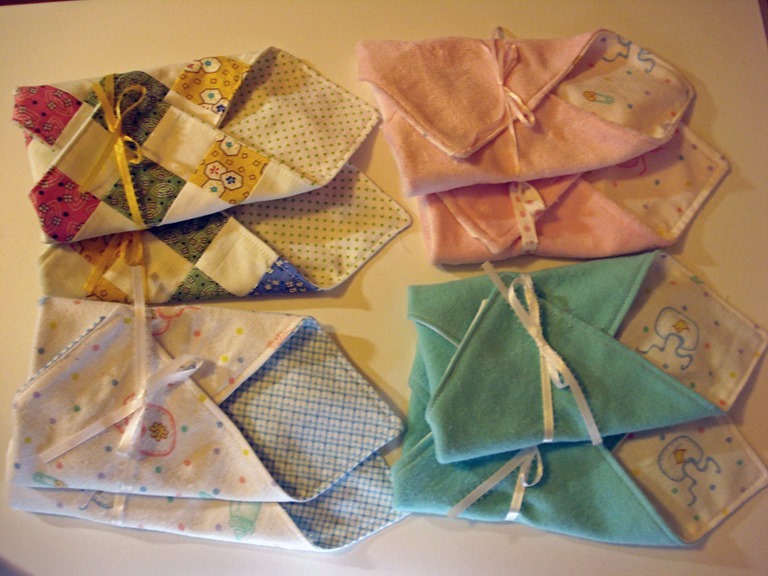 I wanted to make some soft and cuddly charity quilts for Mikayla’s Grace, and came up with this idea. 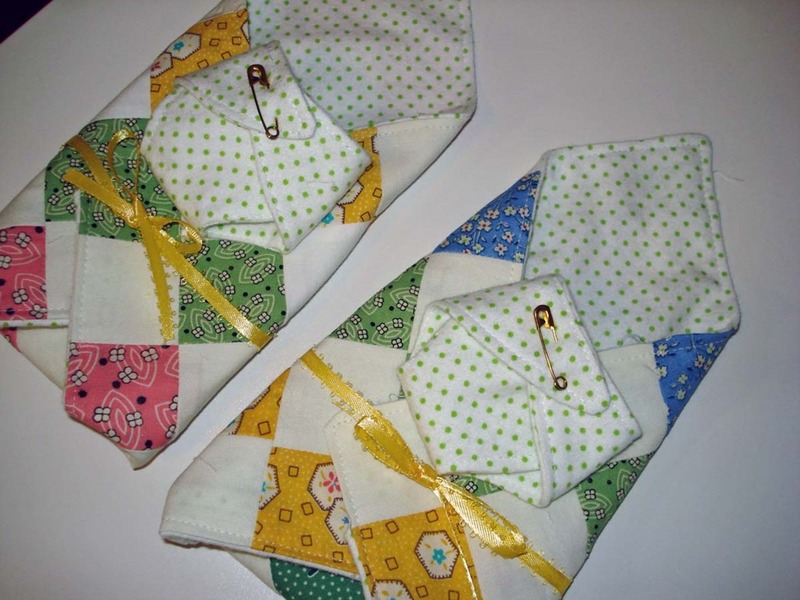 I hope you’ll give it a try the next time you want to make a baby quilt for charity, or for a friend. 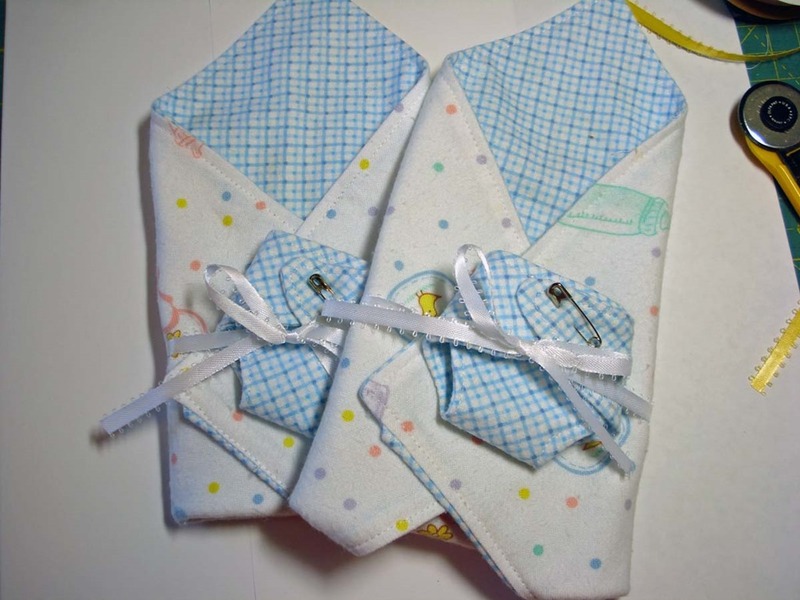 It’s easy to whip up all four in an afternoon of sewing, and are great for giving to charity, or to keep on hand for gifts for friends (new moms & grandmas). 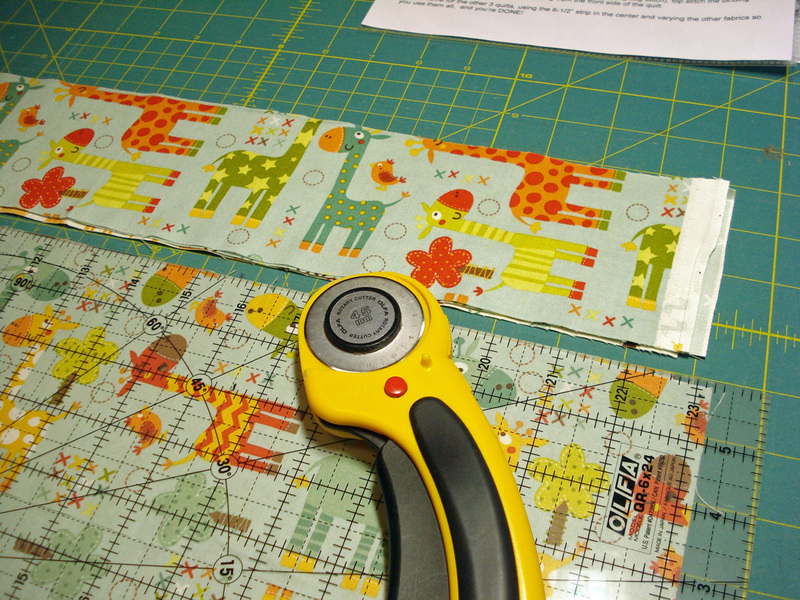 Ok, so you’ll need a little more fabric than 4 fat quarters–you’ll need an additional 3/8 yd for the center strip on top, and some fabric for binding & backing–but it all starts with 4 coordinating fat quarters. I happened to have purchased a packet of coordinating prints I found at “Pineapple Fabrics'” vendor booth at the Quilt Expo in Madison (“Over The Top – Bonus Quarter 5 Pack”, no longer available) and added a bit of yardage for the backs from my stash. 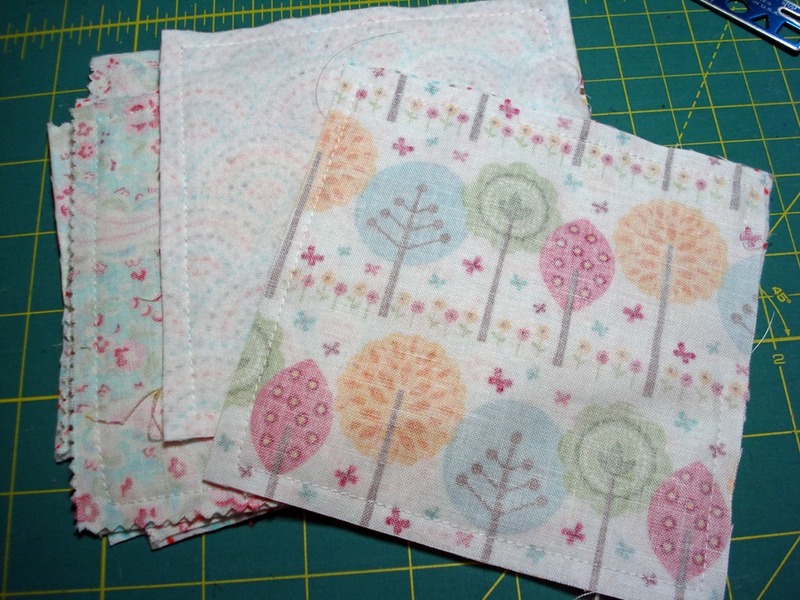 It’s fun to use soft flannels and “minky” or “cuddle” fabrics as backing material. 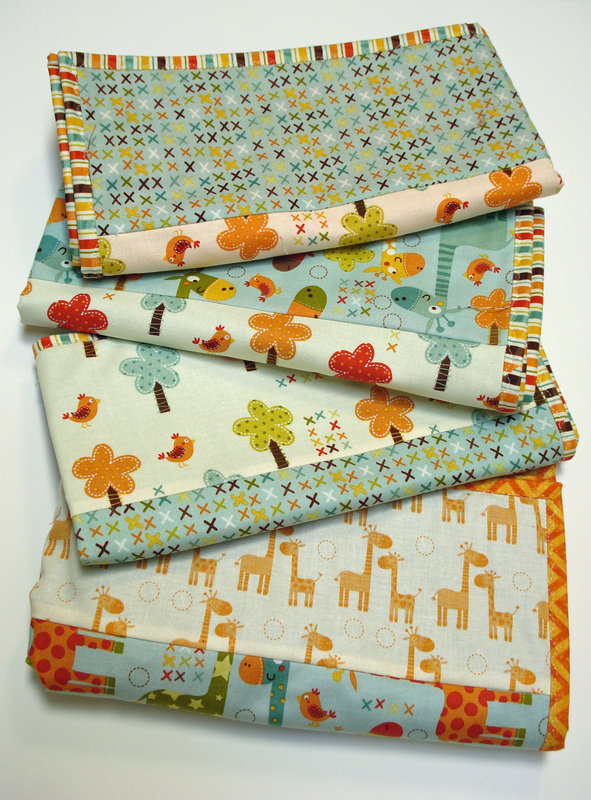 See if you can find fabrics from your stash to use, or purchase fabric from the list below. 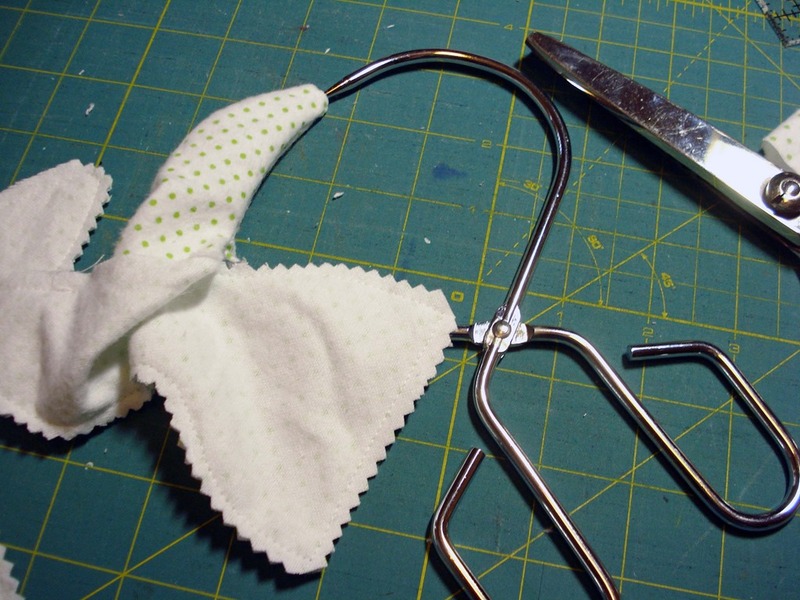 I like to wash & dry all my fabric before starting to be sure nothing bleeds or shrinks. But many quilters opt not to wash it first. It’s totally up to you. However, I would advise that you wash the flannel–as flannel usually shrinks quite a bit. 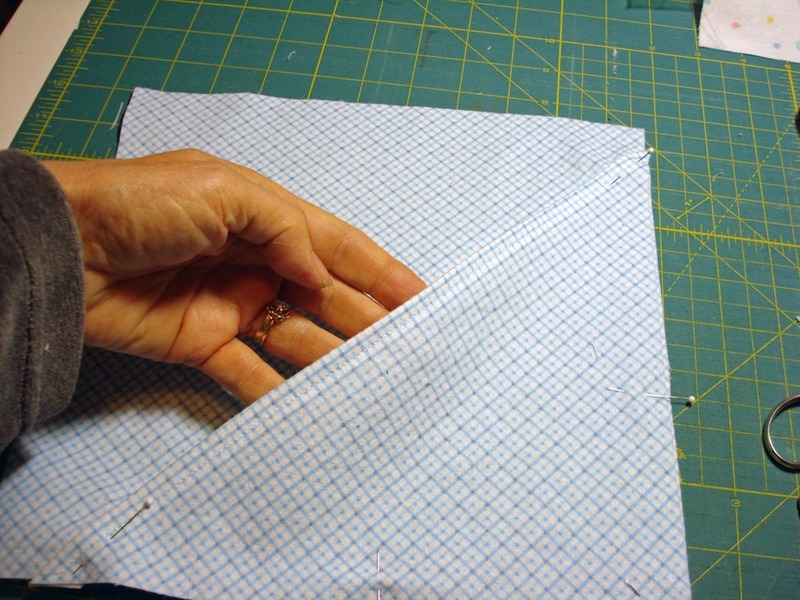 Two 6-1/2″ strips (WOF=width of fabric) & subcut these in half so you’ll have four 22 x 6-1/2″ strips. 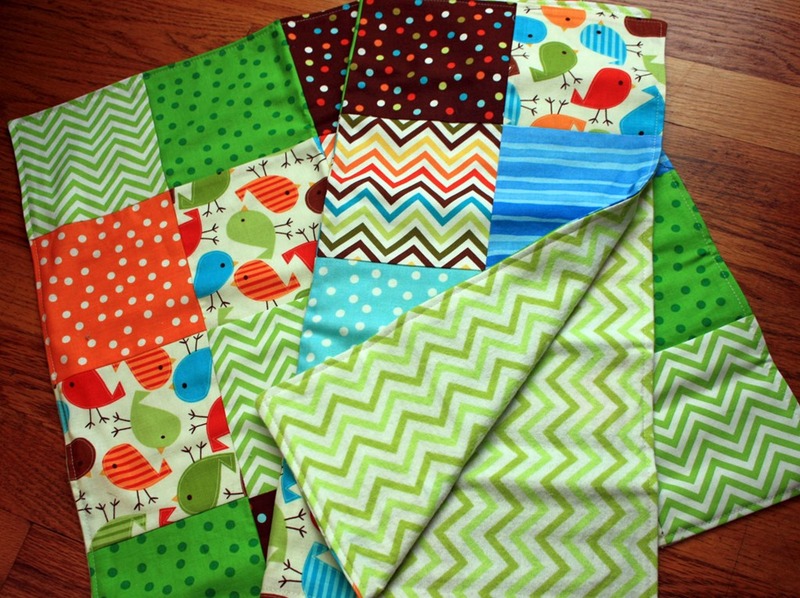 You’ll have enough strips to make four quilts! 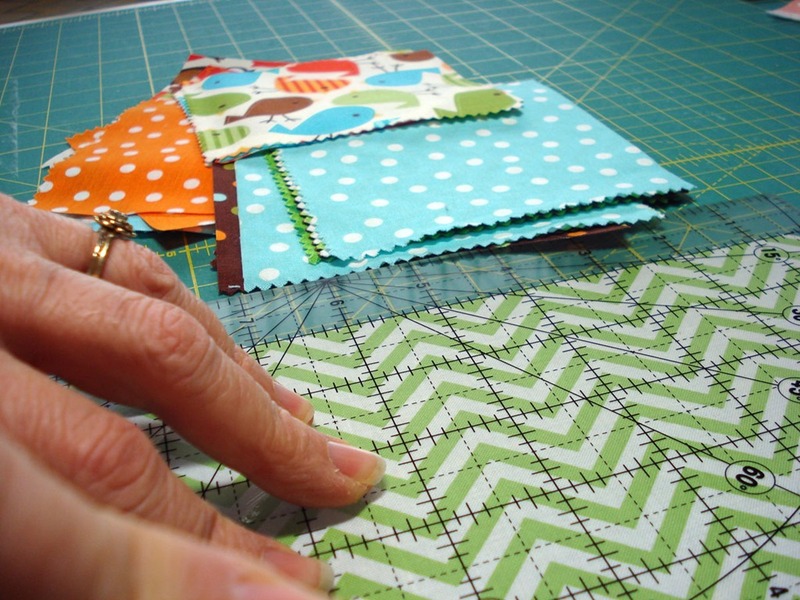 Once the strips are cut, you’ll need one 6-1/2″, two 3-1/2″, and two 4-1/2″ strips for each quilt–so take some time to be sure you have “stacks” of the required strips–each pile of strips should contain 5 different fabrics. On the backing, find the center mark on two opposites sides and place a pin or mark. Find the center of the short ends of a 6-1/2″ strip and pin or mark. Lay the backing on a flat surface wrong side up. 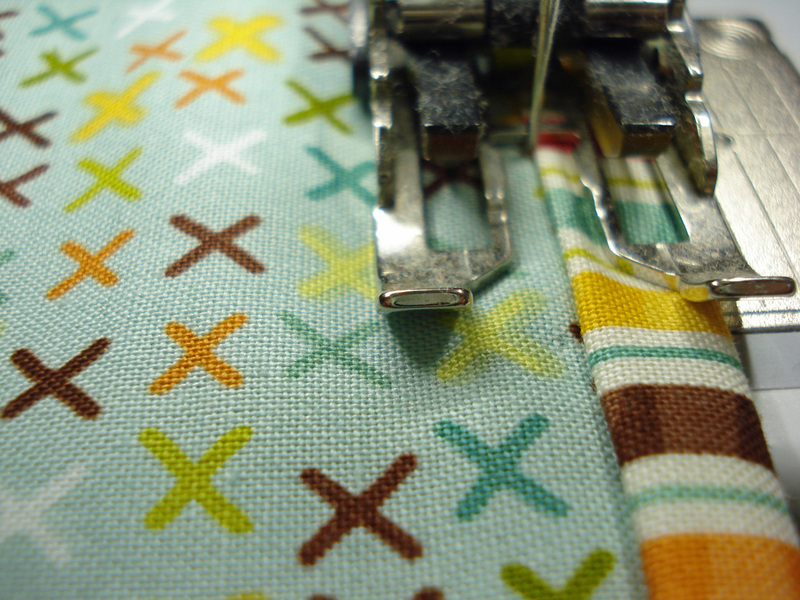 Then place the 6-1/2″ strip right side up on top of the backing, matching the center pins/markings. (Yup, you’re right, you’re putting wrong sides together). Next lay a 3-1/2″ strip right side down (RST) along the raw edge of one long side of the 6-12″ strip you just laid down. Pin and sew 1/4″ along. Take it back to your ironing board and press it open. 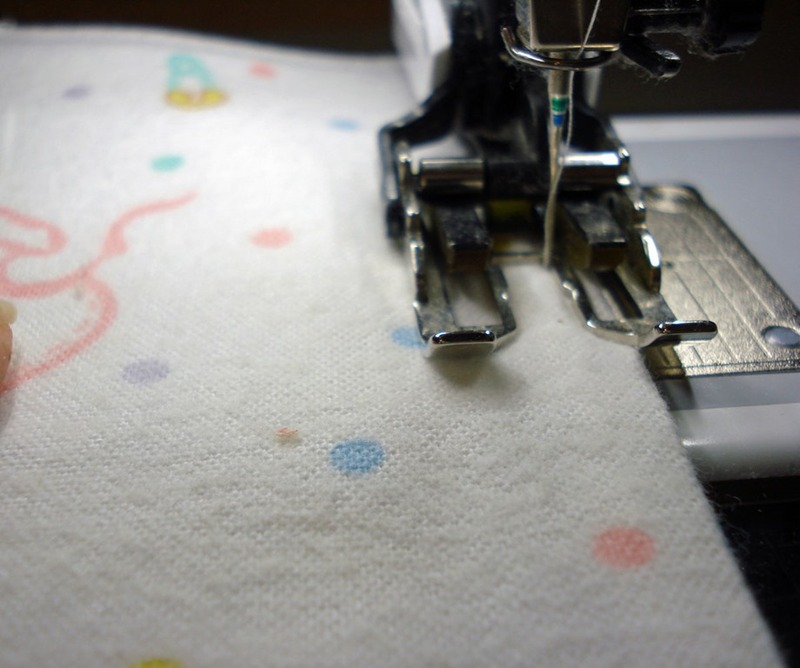 Then take the remaining 4-1/2″ strip and lay it right sides together along the raw edge of the 3-1/2″ strip you just sewed and pin…and stitch. 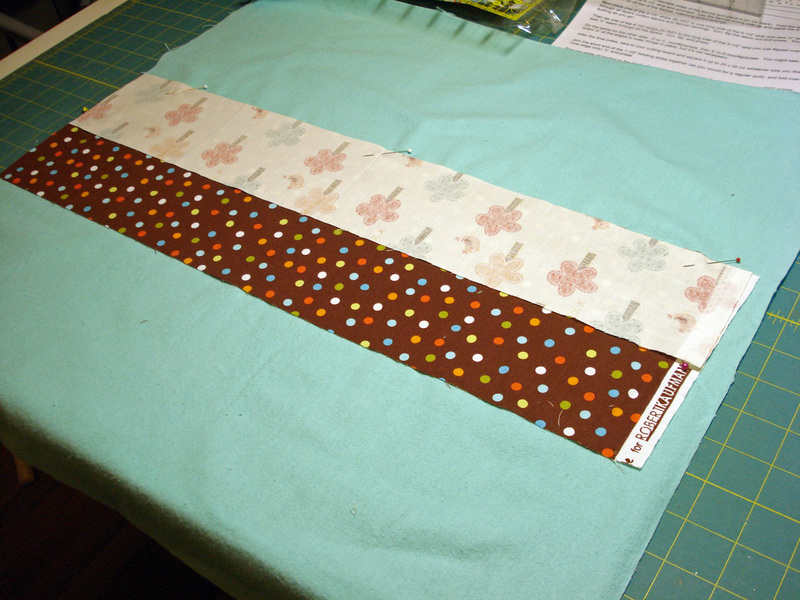 Do the same on the opposite side of the center 6-1/2″ strip until the entire backing is covered. After a final press, take it to your cutting mat and square it up, making sure the backing and top align around the edges. 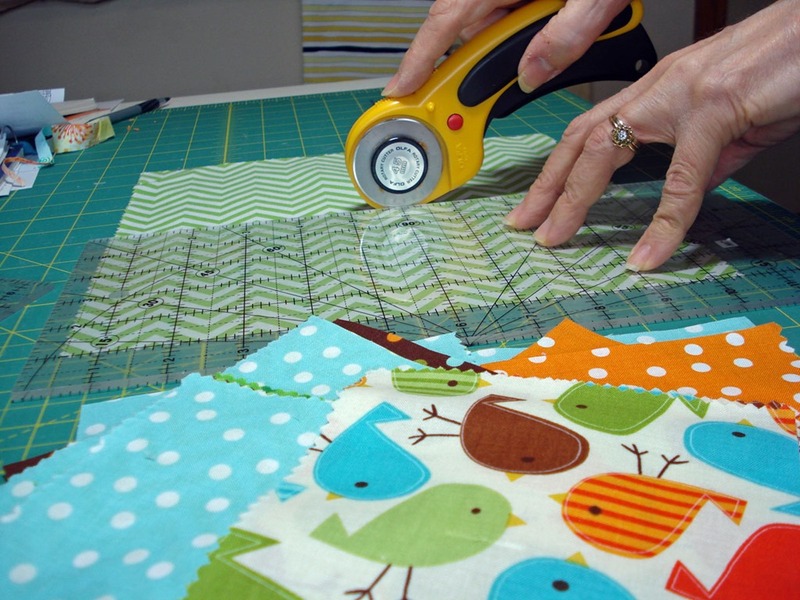 Join the short ends of your 1-1/2″ binding strips together (as you normally would for a quilt) and fold over one edge 1/4″ to the wrong side and press. Sew raw edge of binding to the quilt sewing it to the BACK first with a 1/4″ seam, using the same procedure as for any quilt. 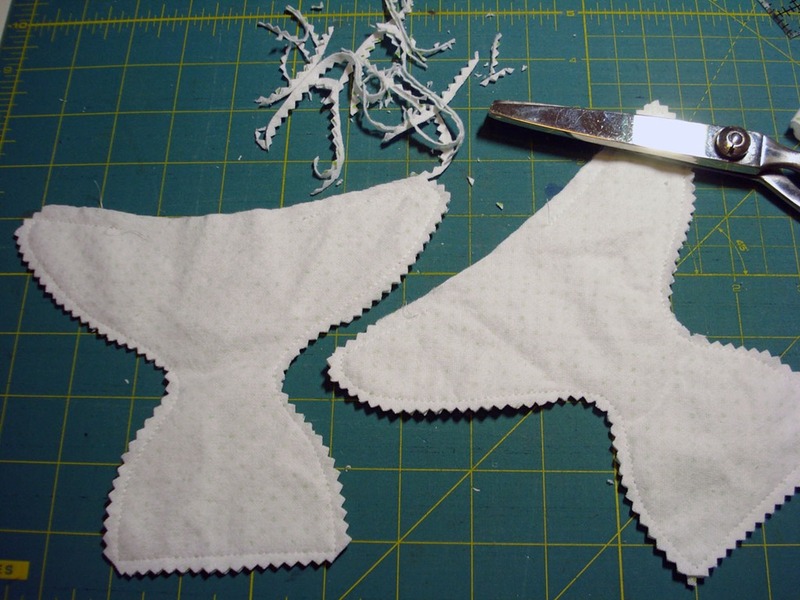 Cut and join the edges together and finish sewing. 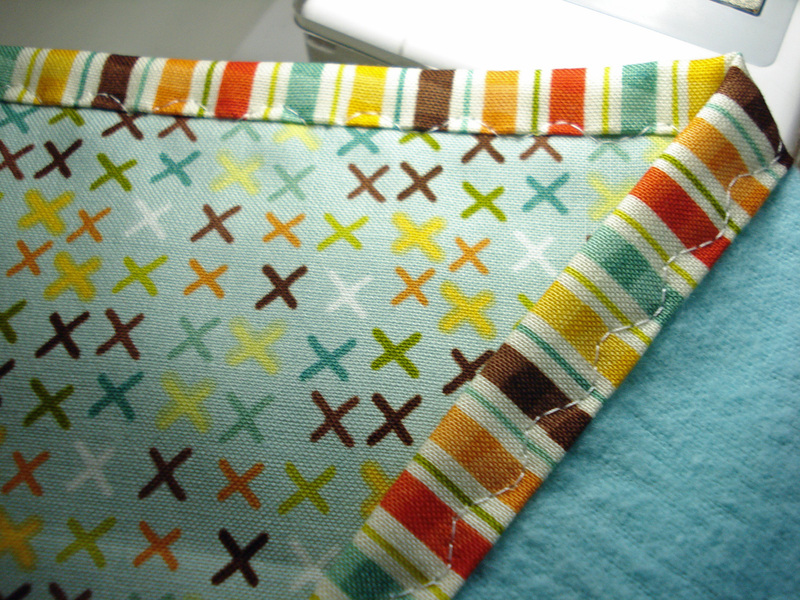 Now turn the binding to the RIGHT side (top) of the quilt and pin or clip to hold. 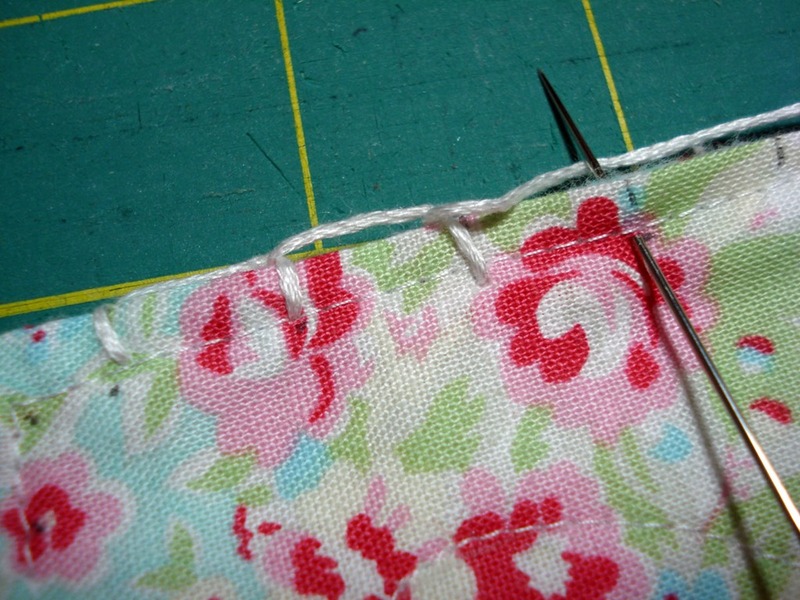 Using a serpentine stitch (or zig zag), top stitch the binding in place. See how the serpentine stitch allows it to “catch” on the back? Faster than hand stitching and it looks nice from the front or the back. 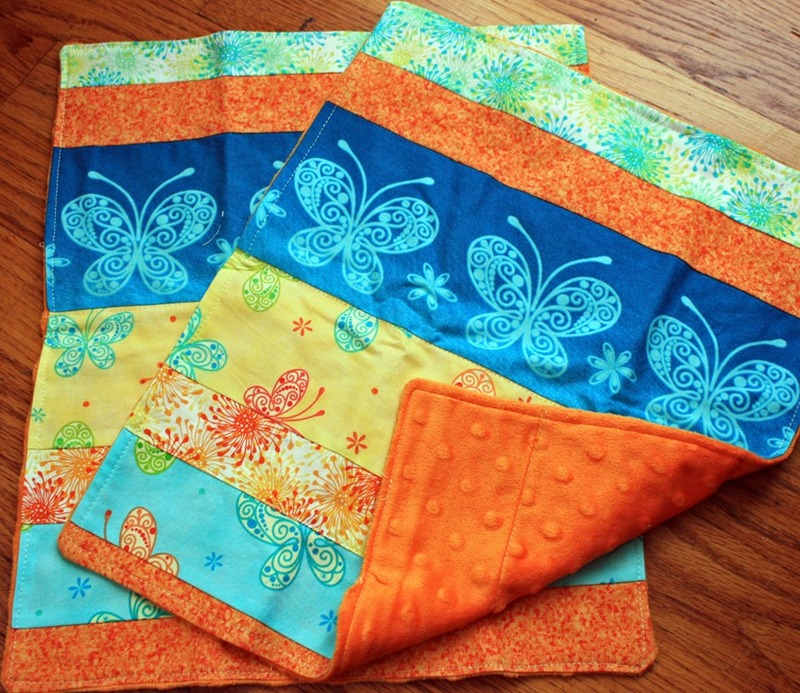 Repeat the process to make the other quilts, and TA-DAH! 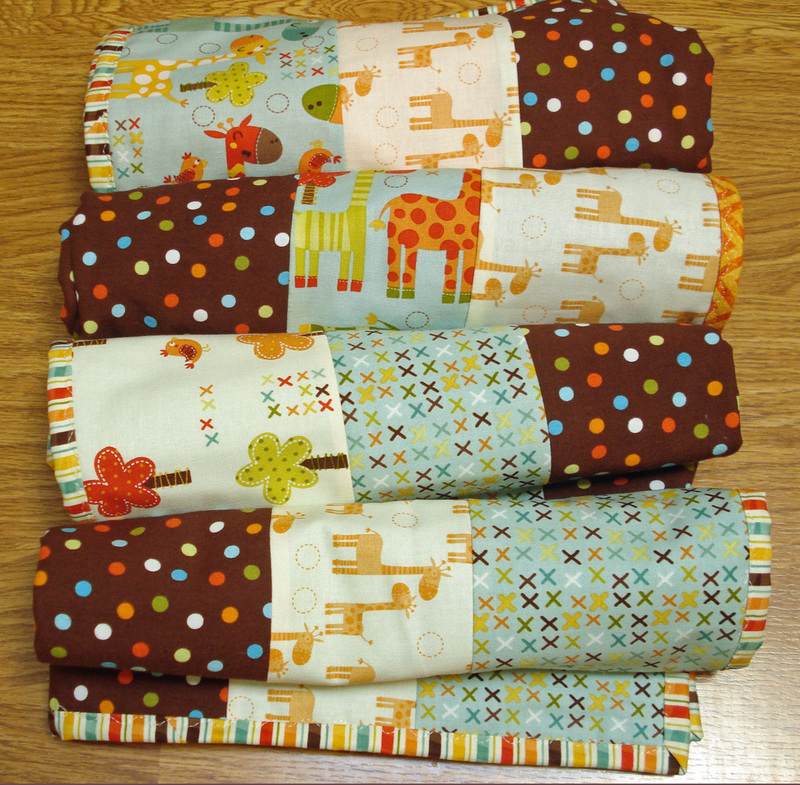 You have FOUR beautiful 20×20″ baby quilts ready to go! 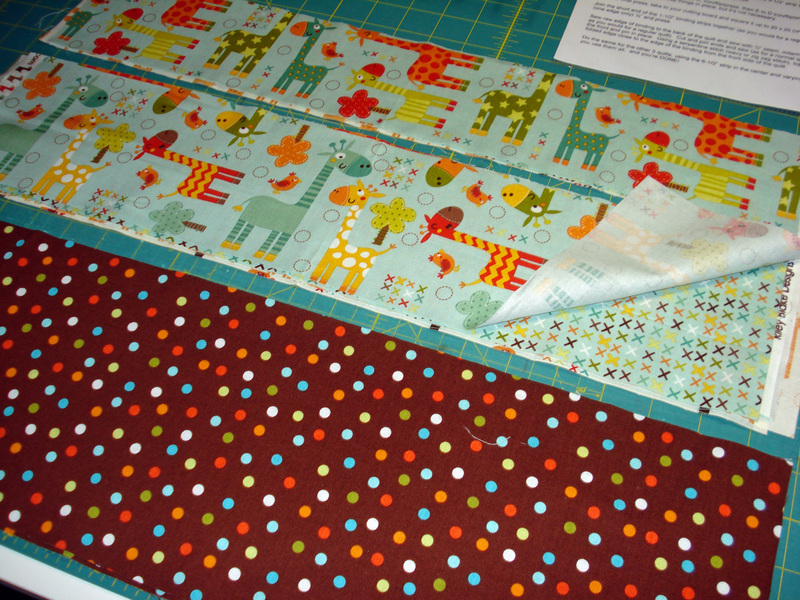 My backings are different colors because I used up 20″ scraps that I had on hand. Aren’t they cute and cuddly? 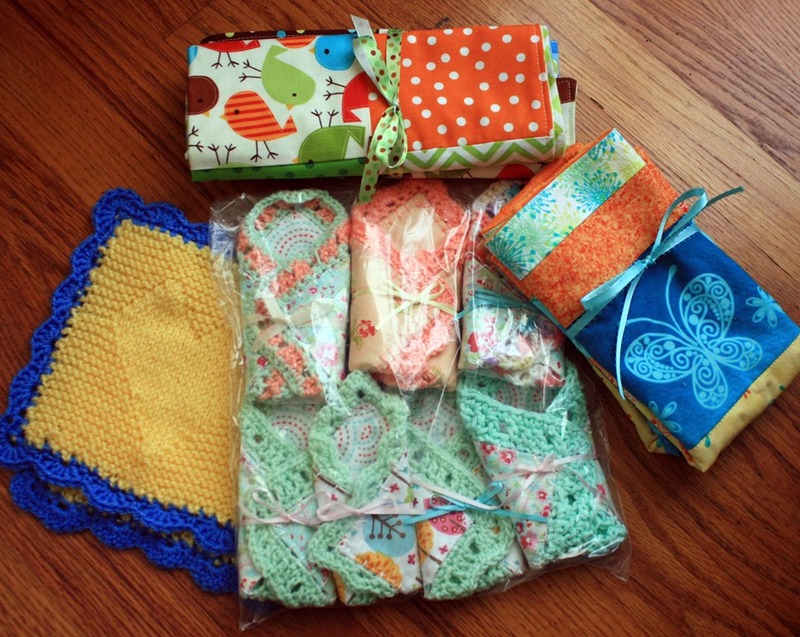 I donated these to a charity called Mikayla’s Grace… I’m hoping they’ll cheer some parents of newborn preemies. 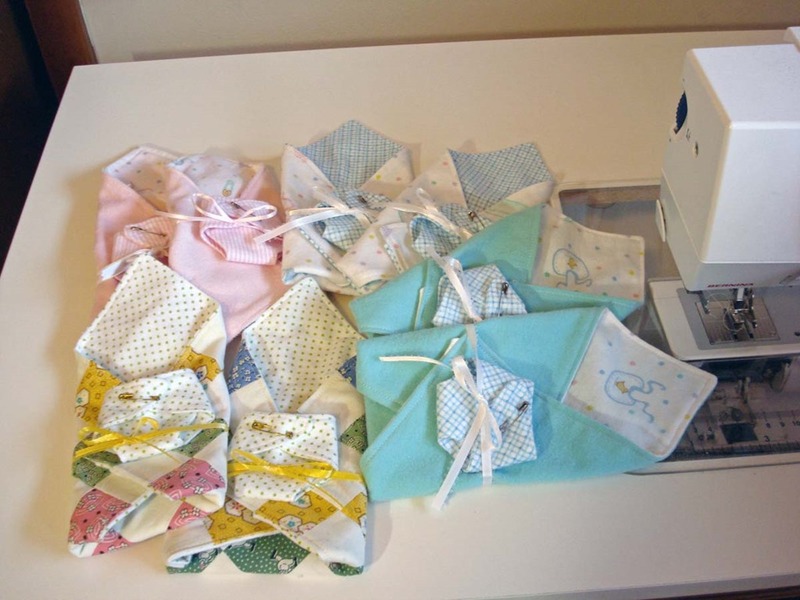 Their mission is to support families with a baby in the NICU (neonatal ICU) and those who experience the death of an infant at hospitals in Wisconsin by providing NICU care packages and angel memory boxes that offer both practical and emotional support for the parents. 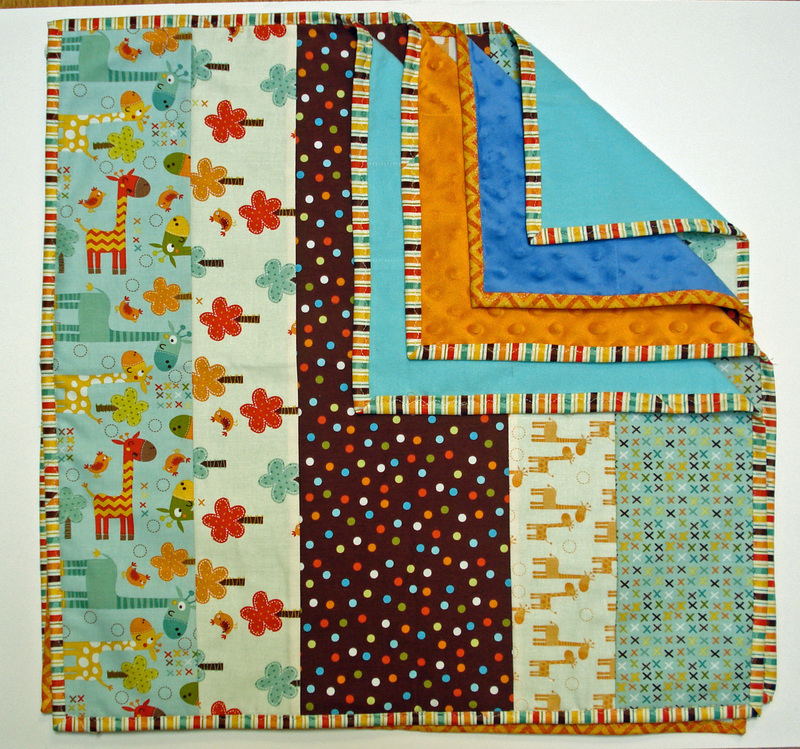 What’s your favorite charity to send your quilts to? And if you make these, let me know if you have any questions. 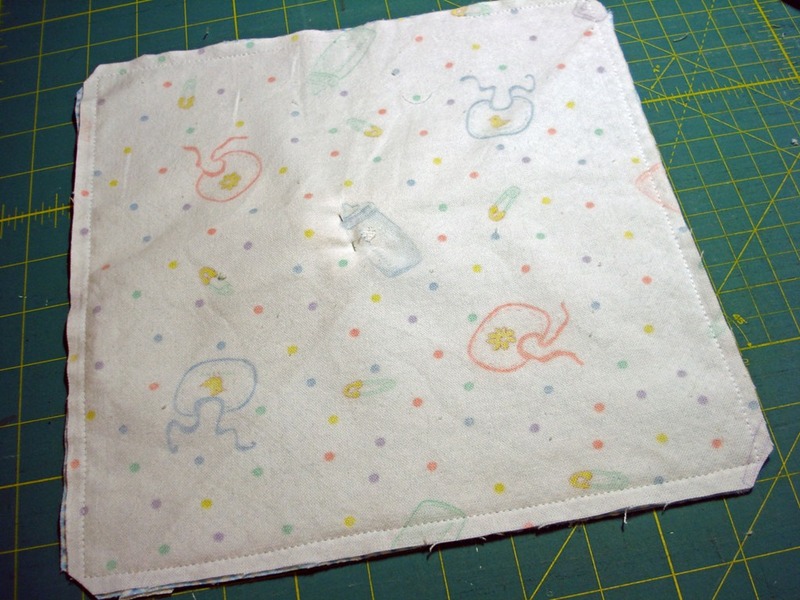 I found a tiny diaper pattern through Tiny Tears and decided to make matching diapers to go with each blanket wrap. Just email them and they’ll send you a pdf pattern with instructions. After cutting & sewing the patter pieces right sides together, I found pinking the edges easier than just trimming. After topstitching, each one is folded and pinned. 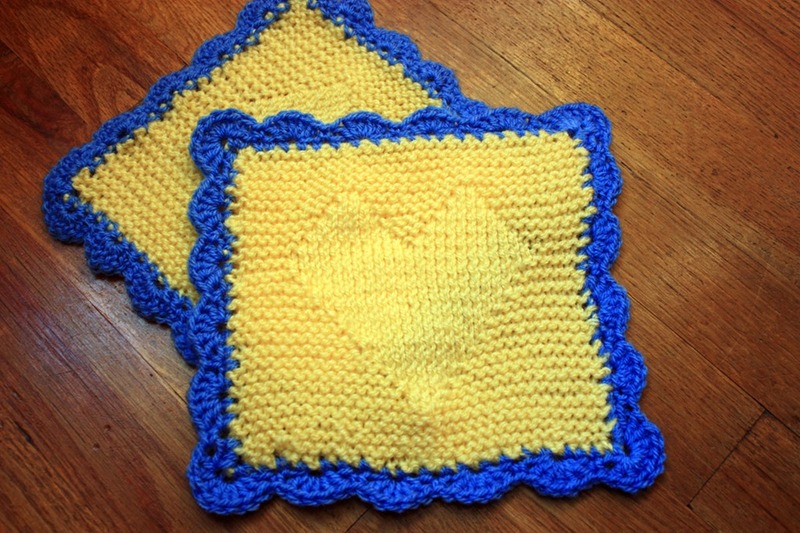 Set #1—with pieced blanket wraps. Set #2—pink, soft and cuddly. Set #4—aqua, soft and cuddly. 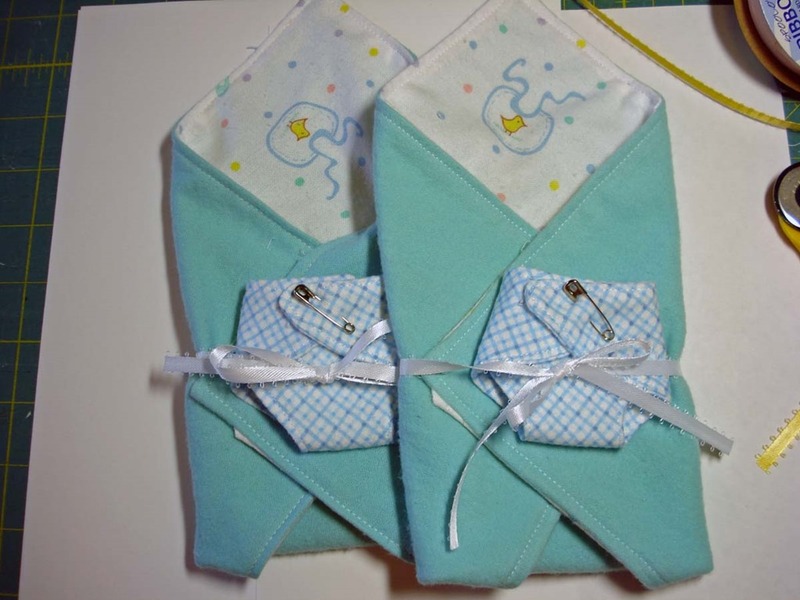 If you’re interested in making blanket wraps for Mikayla’s Grace, see my previous blog or go to their website here. 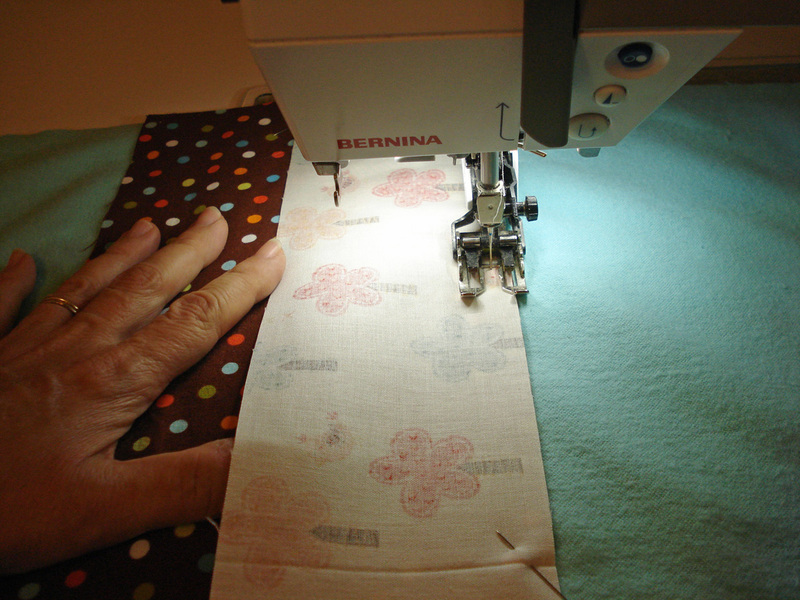 Next, I’m going to be doing some experimenting with rulers on my Tin Lizzie quilting machine! I was watching an episode of “Nancy’s Notions” and found through their website “Nancy’s Corner” a link to “Mikayla’s Grace”. 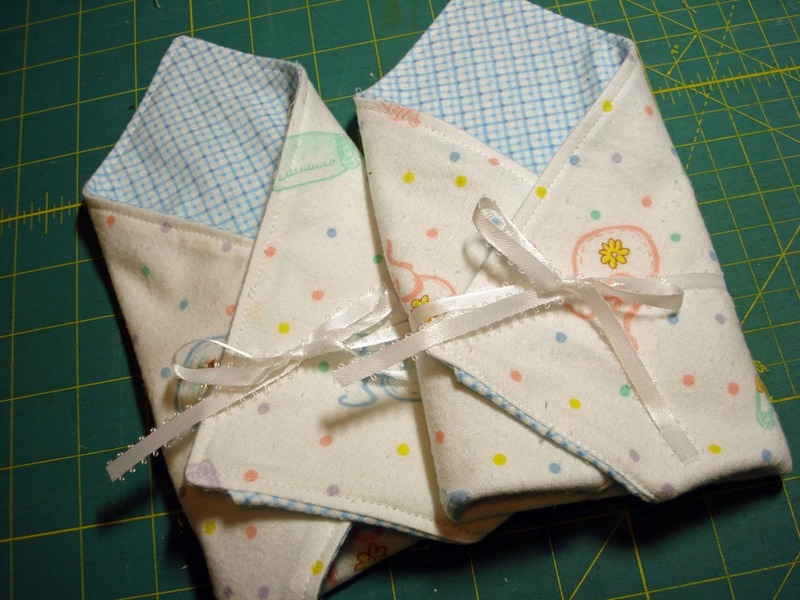 After reading the more, I decided to set aside Sunday afternoon to sew “Blanket Wraps”. Mikayla’s Grace, started by Mike and Melissa Terrill, was created with the mission of giving comfort and support to parents with a baby in the NICU (neonatal ICU) and those who experience the death of an infant or pregnancy loss at hospitals in Wisconsin…and they serve many of the hospitals right here in my city. Did you know that 1 in 4 women experience a pregnancy loss? Just this past year, over 10% of the babies born in Wisconsin were born premature. Since 2011 Mikayla’s Grace has donated 431 Angel memory boxes, 420 NICU care packages, 50 Christmas NICU care packages, 310 Baby Loss Comfort Packages (for early pregnancy loss less than 16 weeks), 400 baby blankets, and 400 gowns with matching booties and hats to hospitals in Wisconsin. After looking over their website of suggested handmade items requested—see website here—I decided to make several 10” Blanket Wraps. Aren’t they sweet? There’s a great PDF step-by-step guide and a YouTube video at the website provided through UtahShare.org. 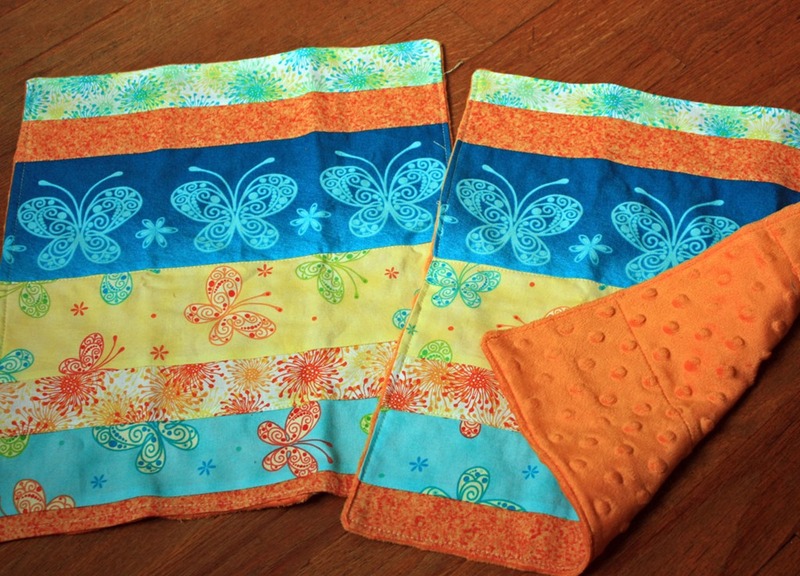 To make two matching blanket wraps, all you need are four 10” squares (2 from the outer fabric; 2 from the inner lining). 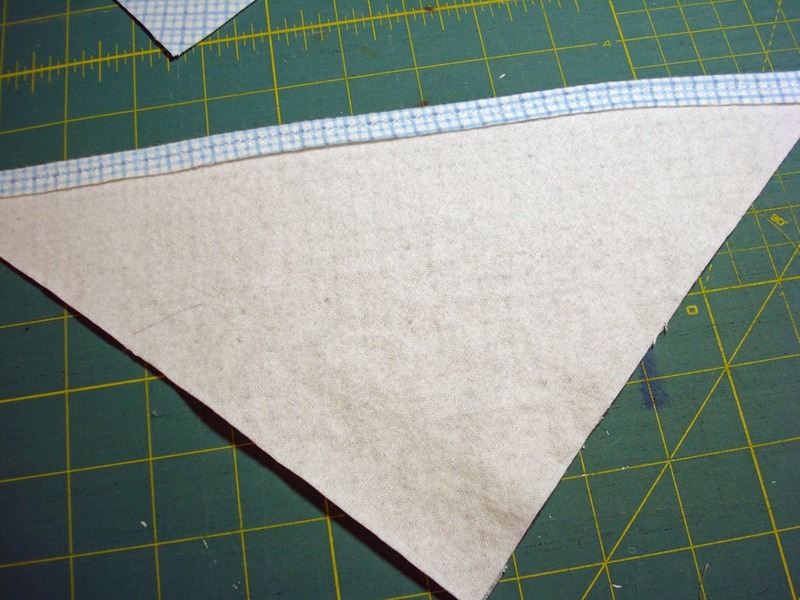 Cut one lining square in half diagonally (use one and save the other for the 2nd). 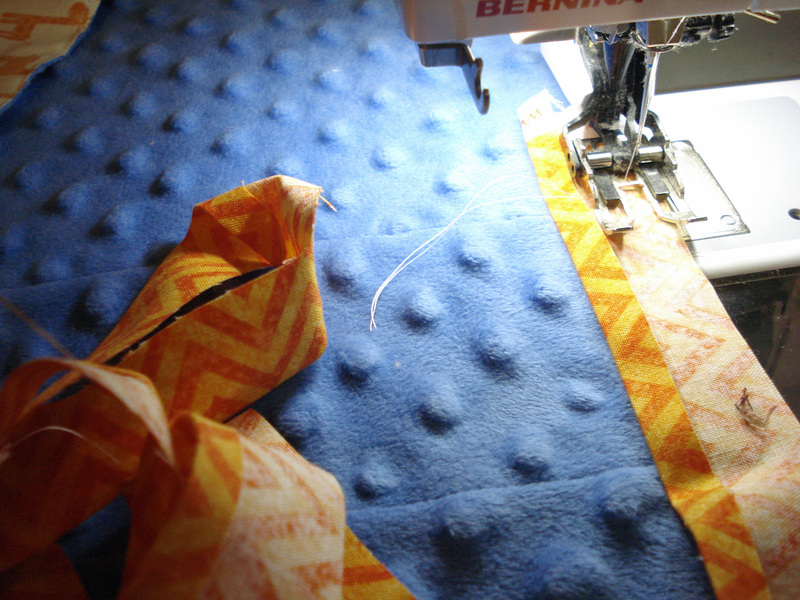 With both pieces right side up, place the triangle on top of the matching square & baste the edges…this creates a pouch. 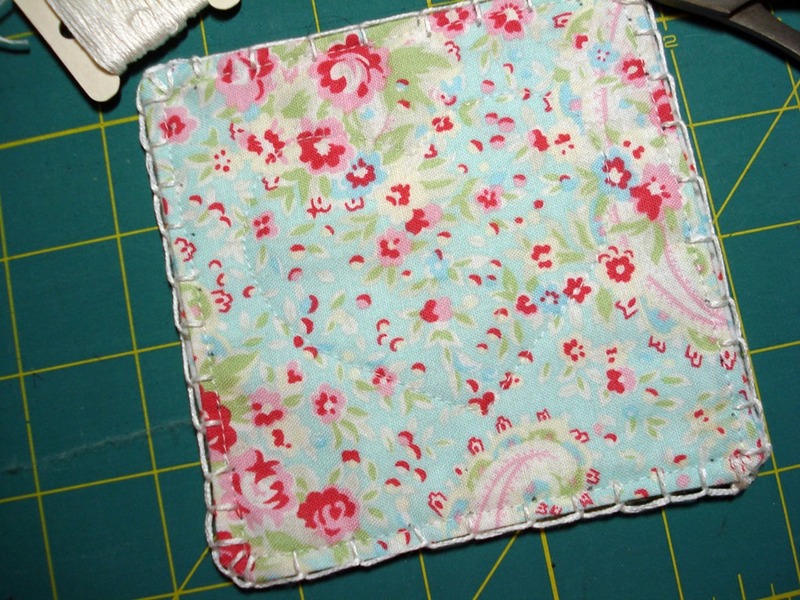 Then (with right sides together) join the outer square to the lining/pouch squares, leaving an opening to turn. Trim the corners & turn right side out. 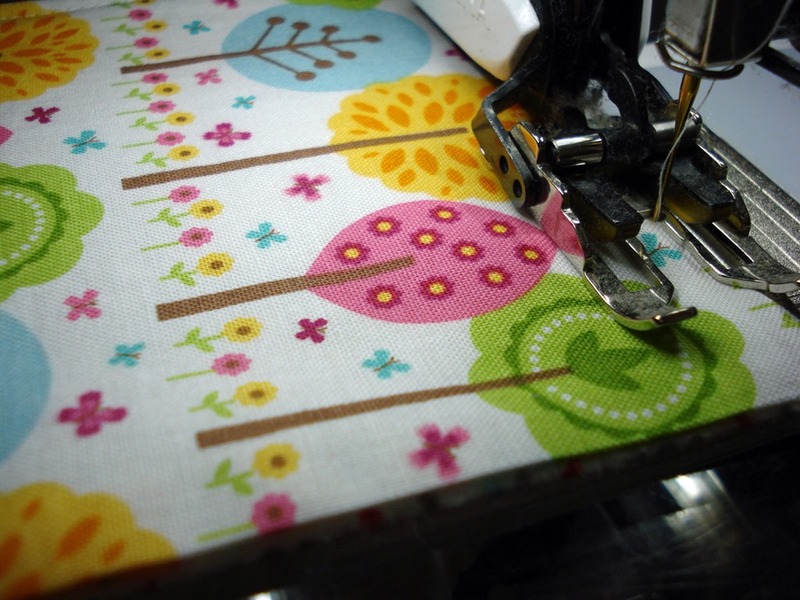 Press and top stitch around the outside, being sure to catch the edges that were open. Repeat to make the second one, and you’re done! So easy and so sweet. 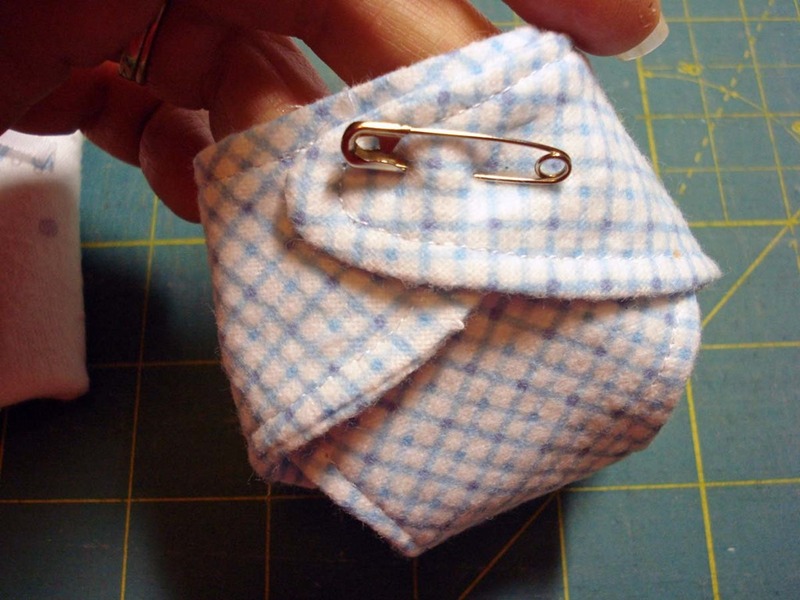 Use a ribbon (attached to the back) to fold & close. I’ve made 8 so far, and plan to make a few more before I sent them in. I tried piecing the outside square of two of these (upper left above), using 30’s reproduction fabrics with white muslin (2” squares), but using soft flannel for the lining. 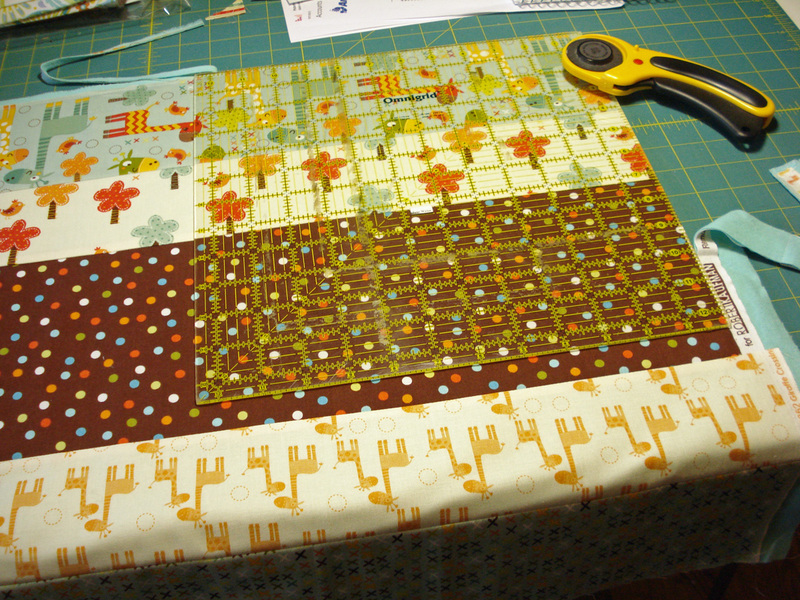 I’ll have to check with the organization to see if that’s acceptable…as a quilter, I really enjoyed trying it. Otherwise, all the rest are done with two contrasting but complimentary pastel cotton flannel prints/solids. Wouldn’t they be cute with a little lace around the edges? …a decorative stitch? …or a different ribbon? Each pair takes about 45 minutes to make—so they’re quick and easy. 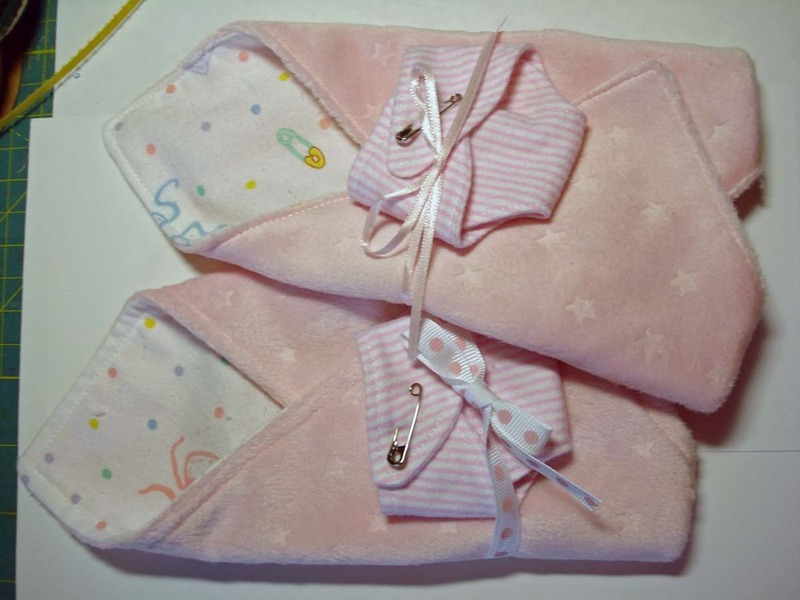 If you love to sew, consider creating some of these blanket wraps—or other items on their list—for donation to Mikayla’s Grace, or similar organizations in your area. 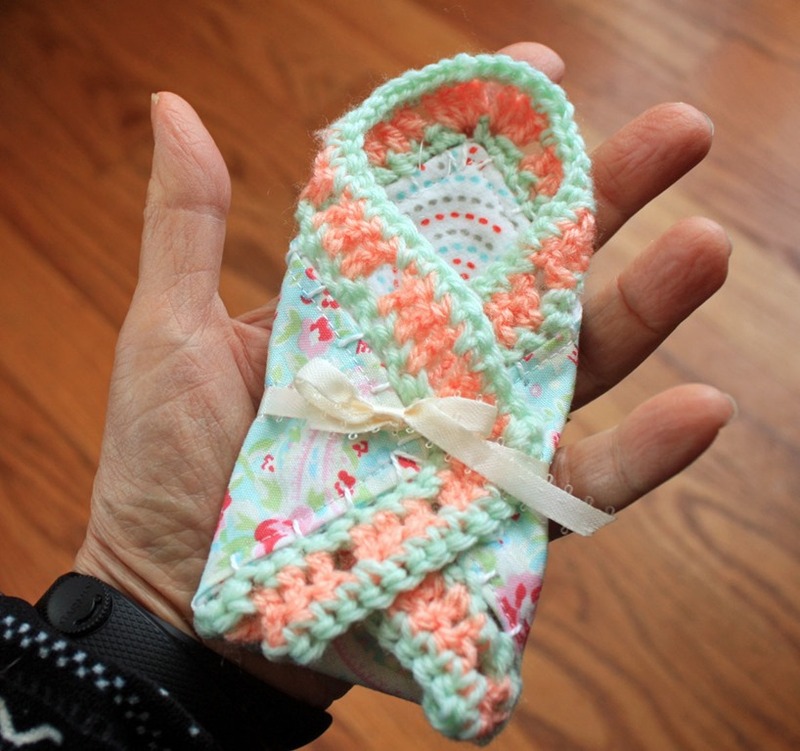 They also have patterns to knit and crochet on their website. Until next time, HAPPY QUILTING! !